Erin is a Licensed Clinical Social Worker and a member of the Academy of Certified Social Workers. She obtained her undergraduate degree in accounting from the University of Texas in Austin. Erin subsequently became a CPA and worked in the field for nine years. 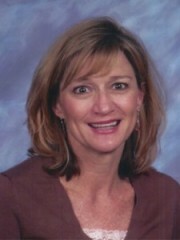 She obtained her Master of Social Work degree from LSU in 1994 and has been in private practice ever since. Erin is married to Grif, they have three daughters and are members of First Presbyterian Church. Erin accepts cash, check, and credit card payments.